Clay pot making with aphasia patients. Artist Erin Ustis Brown introduced Michaels to a clay pots art program she undertook, on behalf of students from Columbine High School, following the 1999 massacre there. Although the weather often can be soggy and cold, regulars are not deterred. 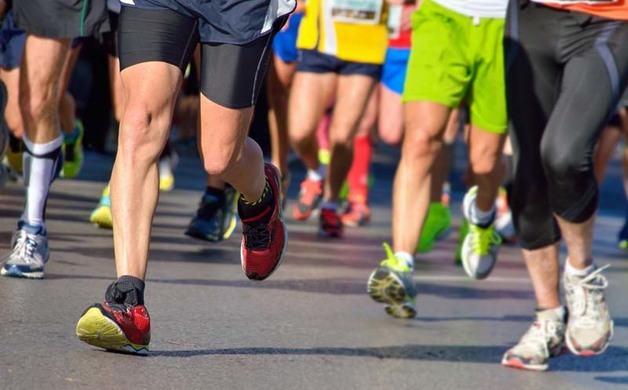 Averaging about 80 participants in recent years, the race attracts runners who enjoy the fun of a small town American party. More information is at Camptownraces.org. 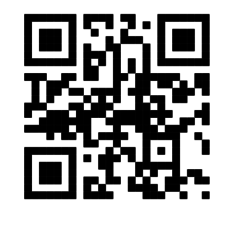 Scan the UR code with your Smart Phone to hear an early version of “Camptown Races.” – Mary Beth Kennedy Voda. It’s unlikely you’ve heard of aphasia (UH-FAY-ZHUH) unless you or a family member or friend suffers its effects. This communication disorder, resulting from damage to the speech and language center of the brain, is usually due to stroke or traumatic brain injury. It affects a person’s ability to verbalize, understand words and read—intellect is generally unaffected. Processing numbers and math calculations also may be difficult. The center supports the individual with aphasia as well as family and caregivers; June is Aphasia Awareness Month. Clients benefit from programs such as fall prevention and safety in the home as well as group speech therapy, occupational therapy and music. “We work closely with the Bloomsburg University Speech Language Pathology graduate students to offer programming each week,” said Michaels. Aphasia clients volunteer on behalf of others, including quarterly visits to the Ronald McDonald House [in Danville] to make dinner for those staying at the house. Other community outreach programs have included making blankets for the Linus project and para cord bracelets for Operation Gratitude. 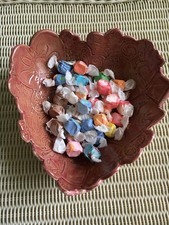 First, Brown and her aphasia clients made small clay projects to get used to working in clay. “Then we spent time playing and exploring emotions and what line or shapes could be used to express different feelings,” said Brown. More information is at CentralPAAPhasia.org. As an educator, Van Wagner feels compelled to share the history and ecology of this region. He teaches environmental science at Lewisburg High School, and has been selected as Conservation Educator of the Year for several years; in 2012 he was awarded the Sandy Cochran award for natural resource education from the Pennsylvania Forestry Association. In 2015, the Red Cross presented Wagner with the Robert N. Pursel Distinguished Service Award. Outside the classroom, Wagner educates audiences with his music and programs on Pennsylvania History. It was natural, therefore, for him to create Danville Heritage Festival now in its second year. This year it takes place July 15-17, in and around Danville. All events are free and open to all ages. Other events include a 5k race, tennis tournament and quoits tournament. Speakers will be hosted at the Thomas Beavery Library. The American Legion Post 40 will sponsor a parade at 7 p.m. July 15 in downtown Danville. The parade will conclude with a giant block party, hosted by Cole’s Hardware in Danville. The highlight of the weekend, according to Van Wagner, is train excursions July 16, departing from the Danville Middle School. The event concludes July 17 at 6:30 p.m. with a traditional hymn sing in Montgomery Park. More information is at DanvilleHeritage.com.